Mine this entertaining game today! 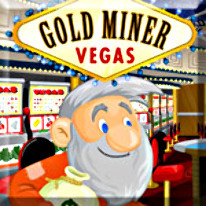 Can you get our bearded friend from the mines of Australia to the beaches of Hawaii to golden Las Vegas? With new levels, challenges, and gadgets the action is bigger, brighter, and better than ever. Follow the adventure from beginning to end or replay your favorite levels in Gold Rush Mode! Grab mystery grab bags full of fun new gadgets! How much gold can you grab with the brand new Super Claw?